He was preceded in death by 1 sister, Irene Smith and 4 brothers; Kenneth, Wayne, Harold and Grafton Smith. 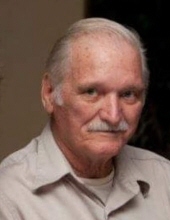 Funeral services will be conducted Monday, December 31, 1 PM at the Warren F. Toler Funeral Home Chapel by Larry Smith. Burial will be at the South Irvine Cemetery. Friends may call after 11 AM Monday at the Warren F. Toler Funeral Home. "Email Address" would like to share the life celebration of William Preston Smith. Click on the "link" to go to share a favorite memory or leave a condolence message for the family.